Meet Gather. 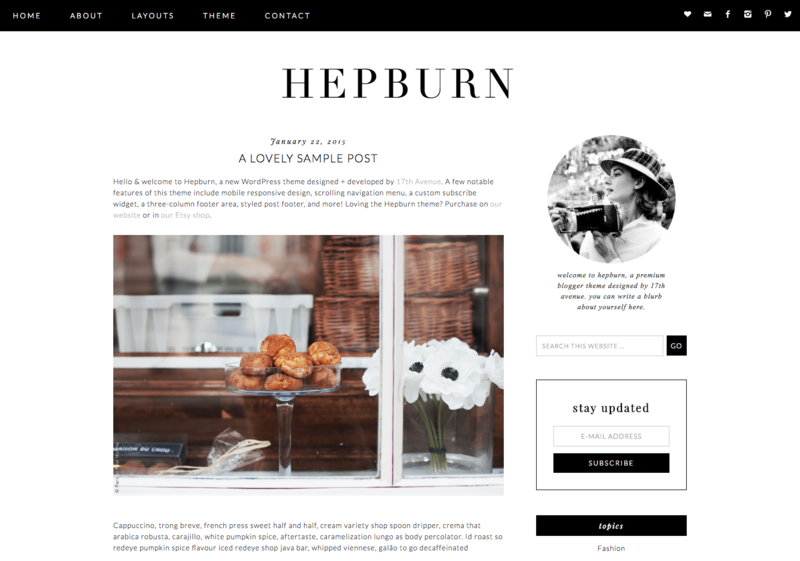 A classic, minimal mobile responsive Wordpress theme perfect for entrepreneurs & bloggers. 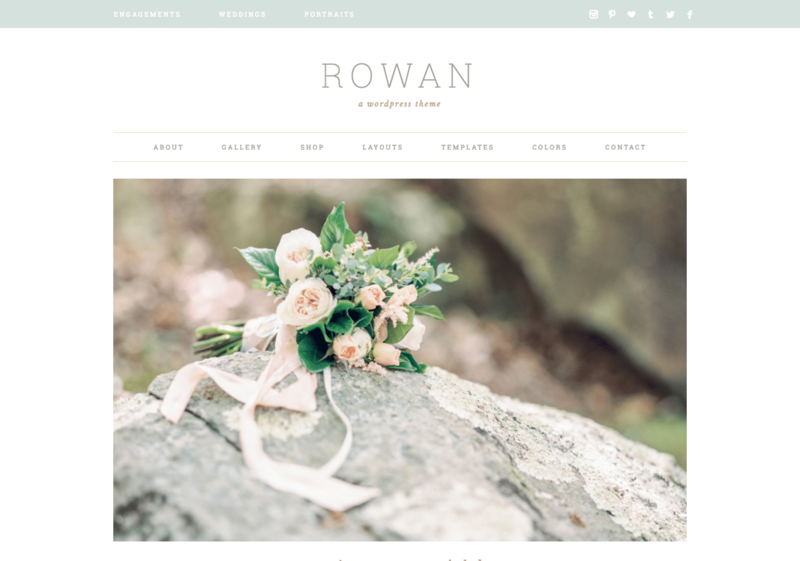 Gather features a large slider to showcase your photos, a fully customizable homepage to display your latest posts and categories, a custom portfolio page, WooCommerce integration, and so much more. 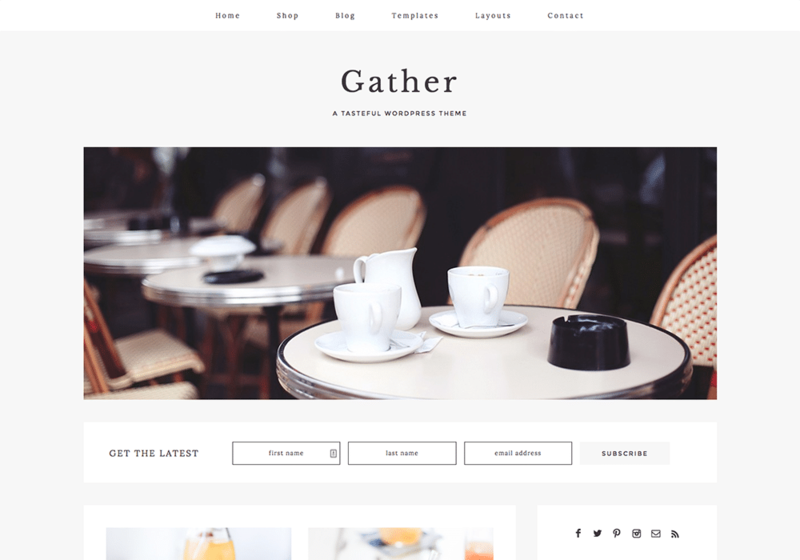 While the Gather demo is geared toward food blogging, it can work wonderfully for any type of website!